Business level Internet requires much more than legacy ADSL and budget broadband services. Now business requires the flexibility to control dangerous content to a wide range of devices. NorthCloud provides exceptional security, but also enables a distinctive range of other services. Ordinary Internet circuits get you connected, but fail to protect you from the myriad of malware, and inappropriate web content. Traditionally businesses had to install a web proxy such as WebMarshal on a server to provide this capability. Nowadays this is more difficult – with the growth of Cloud services many businesses don’t have an onsite server, and managing the multitude of mobile and non-Windows devices is a nightmare. IFS provides even small businesses with the benefit of protection behind highly redundant, enterprise grade firewalls. The IFS provides much more as well – an Internet link, but one that allows the business to consume services such as BRS and SpeakEasy without consuming expensive data. The service can also be used to interlink Ultrafast Broadband Fibre connected offices and facilities. With the increasing prevalence of sophisticated attacks through malware such as Ransomware traditional firewalls that block ports are not sufficient protection. 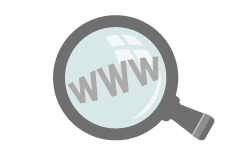 Next Generation Firewalls use additional scanning and lookups to ‘deep inspect’ web traffic. They have the ability to potentially block malware BEFORE it enters your network. With the disruption and potential loss of data caused by attacks such as Cryptolocker (the currently common variant of Ransomware) Next Generation Firewalls are the recommended default level of protection. Our IFS Advanced plans provide you with Next Generation Firewall protection.